Every time I write a book about something, God makes sure I learn it first. So what was my lesson behind writing my book, Drama Free? Actually, God made me learn that one AFTER I’d written the book — two days, in fact, before the book released. I got up one morning to discover flooding in my garage and water seeping up from my living room carpet in our entryway. It was a leak in the water pipe underneath our kitchen slab! A team of water mitigation specialists came over and set fans out on our carpet, peeled back our kitchen linoleum, tore out our cupboards to check for mold on the floor boards, and then a plumber came over to begin a reroute of the lines underneath our slab to put them in the walls so there would be no more slab leaks. Suddenly there were eleven holes punched into the drywall in our home. Some in the kitchen ceiling, some in the bathroom, some in the entry way above the front door. In addition, our kitchen was covered in plastic during this reconstruction mess. To our mischievous kitten, Mowgli, some strange men entered our home and built him a brand new personal playground. 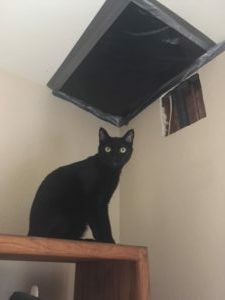 Mowgli immediately began to explore those holes in the wall, running through the ceiling rafters and making us think he was lost and couldn’t find his way out. We tried taping up the holes with large pieces of plastic, but Mowgli found a way to enter the forbidden areas. Each time we left the house and came back again it was a desperate search to find Mowgli whom we could hear overhead, but could not find! Two days after all this drama started, I received the first copy from my publisher of my 16th book, Drama Free: Finding Peace When Emotions Overwhelm You. I chose to respond maturely to the situation, rather than react emotionally, and I worked the problem. I did the next thing, made the next call, cleaned out the next cabinet, and tried not to think about how long we’d be without water. Our water line reroute, reconstruction, and eventual remodel lasted three long months. But a month prior to discovering the leak, my family and I had talked about pulling up our carpet and investing in wood flooring downstairs to alleviate the allergies that my daughter and my husband suffer from. (Yes, it’s possible they are allergic to Mowgli!). But we thought let’s wait a little longer …let’s wait til after tax time to make sure we have the money for it. And also, a month before that leak happened, we had dreamed of getting rid of our old ugly, stained tile-and-grout counter tops, and investing in nice smooth granite counter tops hat would be so much easier to keep clean. But new countertops would be so expensive and we thought We don’t need to have everything. So we waited. And then the leak happened. And everything we would’ve paid for a couple months earlier — new flooring and new countertops — would’ve been ripped up and wasted after our leak. But, as a result of our water leak drama, our homeowner’s insurance covered a $15,000 remodel of our entire downstairs, including new wood-laminate flooring, new kitchen cupboards, and — get this — even all new granite counter tops to replace that grungy old tile and grout! God didn’t give us peace about doing it before. But He allowed a little drama and inconvenience in our lives (for three months) so we could save our money – which is really His money — and He could gift us that new downstairs remodel for free. I learned through all of that to trust God in the drama. Trust Him in the mess. Trust Him in the dark when you can’t see why something is happening. Trust Him with the misunderstandings and with the unknown. He knows what He’s doing. And He can bless even in the midst of what looks like a mess! and the flame shall not consume you. (Isaiah 43:2, ESV). 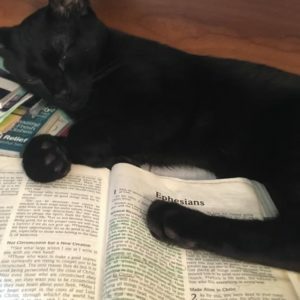 Be like my kitten, Mowgli, and rest on the Word of God the next time drama comes your way. on Trust God in the Dark — and in the Drama. Moment revolves around the “footprints in the sand. God has always carried me even when I was afraid and had doubts. I am praying that I will begin today praising and thanking God through the good and bad situations. I love the title of your book and would love to be more encouraged of God promises by reading. I am from Chattanooga, TN and will share the Word with others. Thank you, Marva, for sharing this. Please email me at Cindispeaks@msn.com and provide me with your U.S. mailing address so I can send out your free copy of Drama Free. Thank you! My drama is constant. I am deeply empathetic and feel emotions about most suffering people. It is usually tied in to illness, or injustice or lack of respect and ignored feelings. When others keep too controlled for that kind of thing I feel that they are not allowing their heart to respond in love. If we can help each other and if we aren’t alone then it is easier to not get too upset. If drama means feelings…then we need them. But perhaps drama means out of control feelings. Sometimes people want to avoid feeling sad. They also do not want to hear or feel the sadness of others. Sometimes they block their heart so to avoid feelings which they call drama. So they run away from drama. There needs to be a happy medium. Life is a huge drama. So trust and faith and surrender in and to our God is the way to be calmer. Not always easy. But with anything that happens it helps to have the support of others. So when people I know do not want me to feel emotions and talk about them which they call drama…then I am alone and that is not helpful or empathetic. So drama really is in my thinking, just an over reacting and over emotional response to something. But sometimes isn’t that ok? We are humans and over controlled people may be fearful of the loss of that control. I am learning to avoid drama. The best way is to be “slow to speak, slow to anger, and slow to wrath”, The less I talk the better and just keep smiling. I forgot to say where I am from. I’m from Ohio. Wow Cindi….Gods timing of this email was perfect. I’m commenting on probably the worst case scenario. I’m a pastor and counselor, specializing in relationships. Today my heart is bankrupt from family tensions over money that finally erupted into a terrible argument that has separated my adult daughter from her dad and I. I have to give a life giving word or encouragement this weekend to women at a church brunch, wondering where to find my strength. I prayed with my husband this morning for God to bring lasting reconciliation. I am reminded by your words that it’s one moment at a time sometimes. The Lord us a lamp unto my feet, many times we only see the next step. We following trusting he will work for our good. Thanks, Bea. Please email me at Cindispeaks@msn.com with your mailing address there in Virginia. three weeks later – another wonderful job came to me. It was an amazing epiphany when I truly understood that He had taken care of me many, many times in so many different ways – and He wasn’t going to stop now. God has been taking me through a season of difficulty as I have been fighting an almost two year custody battle for my now little three year old great niece. It has been so hard to watch a trama ridden child struggle to become whole again as my 88 year old mother and I adjust to the radical life change of raising a child. Your books have taught me so much, Cindi, and the Lord has used you during the hard times to really minister to my heart. I am learning the power of forgiveness, and the importance of truly trusting that the Lord is in control of our situation. Thank you for being faithful to your calling, Cindi! I’ve had loads of drama this year since we’ve had to move my 82 yr old mother in with us. She’s difficult to deal with most days and is nice to everyone but me. I’m her only caregiver! My emotions are in edge most of the time. I need lots of prayers! I have a lot of drama because I have been sick and am trying to overcome some health conditions. This affects my emotions. God has taught me and I am learning through my illness to trust in Him and lean on Him and He will bring me though. It is still a battle though. Thank you for your encouraging words. Thank you, Peggy, for being a longtime reader of mine. Please email me your mailing address and I’ll send a book out to encourage you. I went through a drama at work. I had a new director to come. She hired new people, and then her and the others started harassing me daily. I did not freak out! I kept doing my job! My dad died during this time, and I was so stressed! Finally, I was fired from my job! I was drama free because I had been there almost 14 with God’s Grace! I knew it was time to go because I was miserable! I am happy now! I’m still not employed, but this all just happened, however, I’m an online student at Liberty University online for my Master’s Degree! God is in control! Thank you for sharing your story, Cindy. I’m sure my book, Women on the Edge that you hopefully received by now will help you through some of that drama. I’m glad you’re keeping your eyes on God and His grace during this time. Blessings. I’m currently in the midst of our family drama. My husband is on the brink of being released from his military career. With him being the only one working and is just having baby number four it’s sometimes overwhelming to think of what is next for us and how we will make it. Often military families can’t think about what it would be like on the “outside”. We live in such comfort knowing we will have that paycheck twice a month and the medical expenses will be covered. As it stands right now we don’t know if my husband will be released or not. But I continue to seek God and His comfort for the everyday tasks. I give to Him my husbands career. All the while going to school again myself to make sure I have the education needed just in case I have to work instead of my husband! I know God is good and always provides our needs. He never said it would be easy but by His strength our family will get through this storm! The Psalmist said “I have never seen the righteous beg bread” and the apostle Paul said in Philippians that God will supply all our needs according to his riches in Christ Jesus. Those are the assurances I have for you and your family. You have trusted Jesus through the years and He will not desert you now. Thanks for your comment. You remain in my prayers and I’ll get a book out to you. ? Hello Cindi, I have 3 daughters but do not have as much drama as you would think LOL. However, this past spring and summer was interesting. All three girls (ages 14, 13 and 10) had unique friend issues. The most heartbreaking was watching my daughter’s friend group since 1st grade kick her out because she did not like the new ways they were behaving (middle school). She stood her ground and found ways to keep busy at home but I could see the hurt. I was so distressed at first but now realize God is using this time to teach her humility. God always has unique ways to teach and she is blossoming into a great girl. Thank you for your website. I am so happy I stumbled onto this site. Amber M.
I’m happy, too, that you stumbled upon my site. It sounds like my book, When a Mom Inspires Her Daughter will be very helpful to you right now, considering the ages of your daughters. 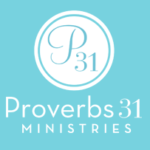 Yes, drama is something that is present in our lives simply because we’re women but my prayer is that you will be able to encourage your daughters throughout life’s circumstances so they lean fully on the Lord. Thank you for your comment. Good morning-my man and I are workin on having a God centered life and home however he is struggling g with some addiction issues and is listening to Satans taunting if destroying our relationship and our business together. I am seeing help from our church and praying and reading about trusting God in this drama. It’s a daily struggle and one I am trying but learning how to do. I stumbled onto your page this morning by Gods grace and found this blog. God is timely and I am thankful for your message here. I, too, am glad you found my blog this morning. You are in my prayers today. Cindi, I just bought your book “Drama Free”–still reading it but already it is amazing! I am having a ton of drama at work right now…people with hurt feelings, blame, and gossip. Especially hurtful is mean gossip about me from my co-workers who I dearly love. I need to and will choose to be drama-free and cling to God to resolve this and guide my steps. thank you for your wonderful ministry! I have been a fan since you published “When Women Walk Alone.” Keep it up! Thank you so much for your kind words, Laura. I’m thrilled that you are enjoying “Drama Free.” Thank you for following my ministry for so long. I found an article on 10 things Christian Women shouldn’t do, on crosswalk.com, and it led me to your blog. The article was timely since I feel like God is leading me towards learning Spiritual Discipline (I kind of wanted to learn something easier ?) I really liked the statement “as much as it is up to me, I will be drama free”. I was raised to be a worrier of what was going to happen. It was passed down by my grandmother and mother. For the first 50 years of my life, chaos was way more comfortable then peace. Then I got tired of chaos and am, as I enter my late 50’s, trying to be at peace through Gods strength. I certainly can’t do it on my own. I am happy I found your blog, and look forward to more articles! Hi Susie: I’m glad you found my blog, too. And I’m glad my motto from my book, Drama Free, resonated with you. We can overcome the dysfunction of our past when we focus on the “new creation” that each of us is in Christ Jesus (2 Corinthians 5:17) and the fact that our life is no longer ours, but His (Galatians 2:20). I love the fact that, because of the indwelling Holy Spirit, you and I have the power to be more like our Heavenly Father than our own earthly parents. Thanks for leaving an encouraging note and I hope to hear from you again.